While, unlike the AS851, this dock doesn't offer a remote control, this little speaker is Bluetooth capable and only a little less powerful than its more expensive counterpart, and at $24.99 is a complete steal. 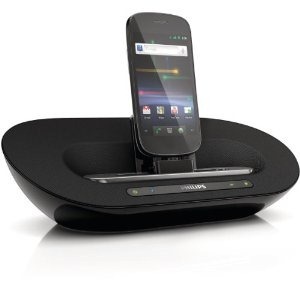 Something else to note about this speaker dock is that it can be powered by AA batteries, making it easy to take the sound outside. 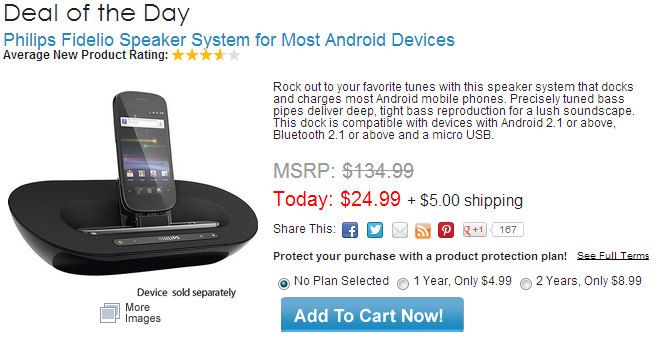 If you've been looking for a super-affordable Bluetooth speaker/dock for your Android device, now's your chance to get a great deal. The discount only lasts one day, so follow the link below to take advantage of the deal while you can.